These 4 e-mails came in one right after the other at the end of May and one right after another they showed fake/counterfeit Dooney bags. I want to thank these readers as well as those past and future for their willingness to send photos with details so they as well as others can benefit from a Dooney community awareness of the imposters out there ! By the way, when I use the word “counterfeit” bag, I usually mean the bag looks like an actual Dooney & Bourke style but is not authentic. 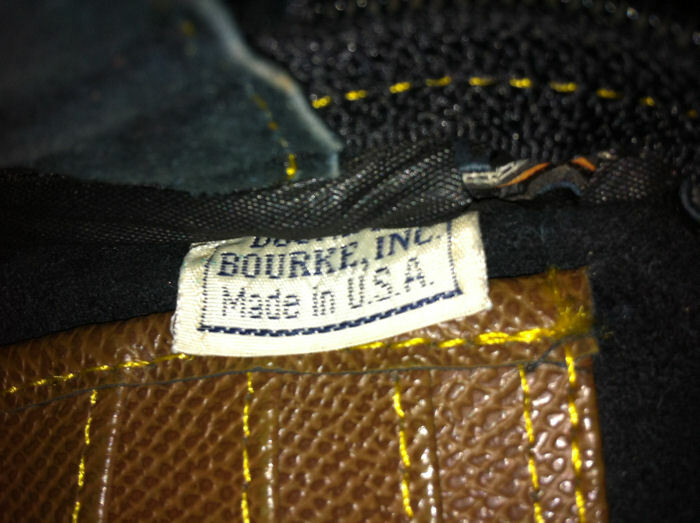 When I call a bag “fake”, it is usually a bag that looks nothing like any bag Dooney & Bourke has ever made – it is just a fabrication of parts and not authentic. So with no further ado, I will just post a brief comment from the owner of each bag and my notes and the pics in hopes it will be helpful for your future shopping. I’ve recently purchased a Dooney & Bourke bag from Goodwill (only $3.99) and I have no idea what kind it is or if it’s authentic or not. This is not authentic. Dooney & Bourke has never made a style like this. 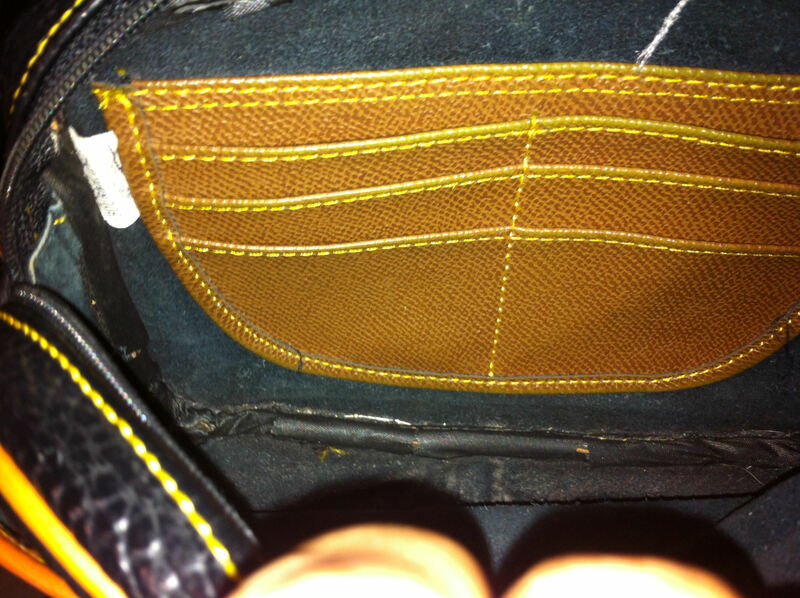 Also the interior pocket, stitching overall, finish work on the bottom of the interior, all spell low quality fake handbag. But what is interesting and helpful for others is that you showed the front and back of the counterfeit sewn-in tag. Here is what an authentic sewn-in tag would look like. I saw your website and am interested in knowing if my thrift store find Dooney and Bourke is authentic. 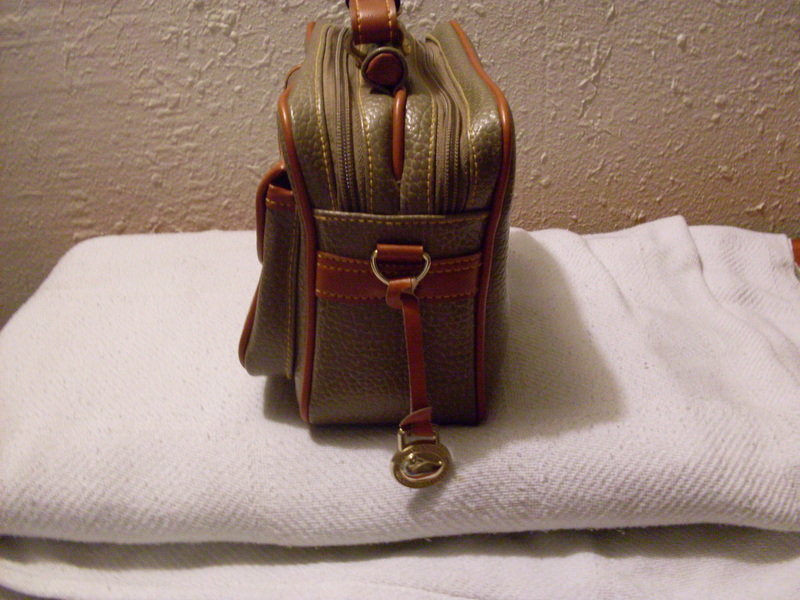 Its an all tan bag, the closes model I’ve seen is a post on your site called The Little Bag. It has the AWL duck logo on the front of the flap and a leather thong with the AWL coin hanging from the side. There are no tags on the inside and it doesn’t look like any were cut out. This is not authentic. Dooney & Bourke has never made a style like this. Also the interior being black, stitching overall, vinyl trim and shoulder strap and most noticeably, the vinyl or vinyl-like faux All Weather Leather itself all point to a low quality fake handbag. 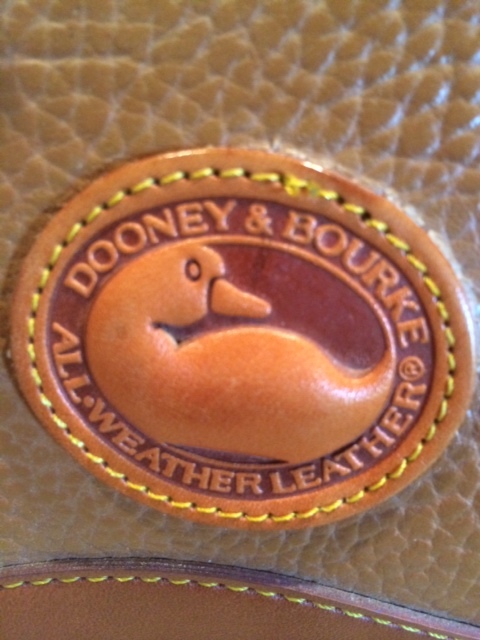 I just want to know if my Dooney and Bourke all weather leather purse I got is an authentic one. I got it at a thrift store. 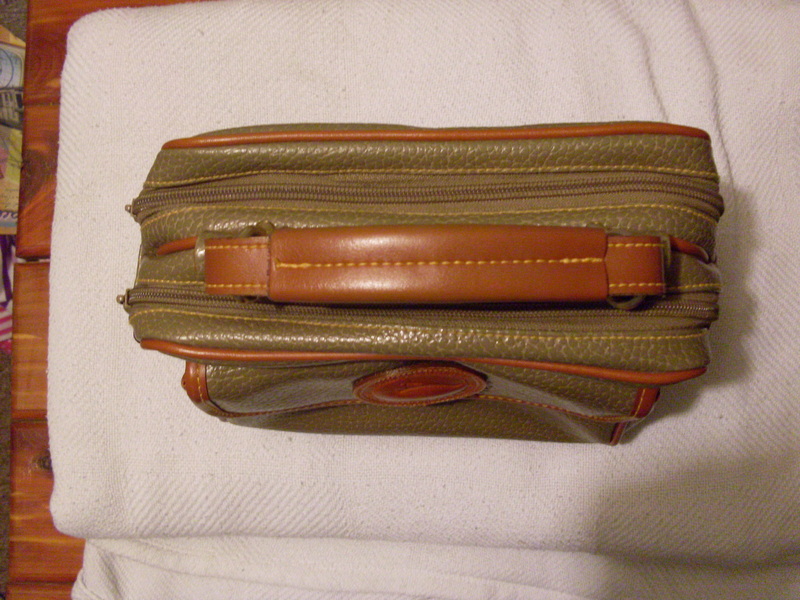 There is no tags, the leather is very nice, a grey or taupe color with tan/light brown leather edges. The duck on the patch looks like how it should, there is a Dooney and Bourke brass charm attached with leather, and the craftsmanship is excellent. It is missing the strap that goes over your shoulder. All the metal on it looks brass. The stitching is strait and very nice. What else can I do to make sure it is real? All the stitching and leather look to be top quality. There is no tags inside, so I think it’s older. The leather logo has a space in the duck bill, and the stitching on it is nice and neat and strait. 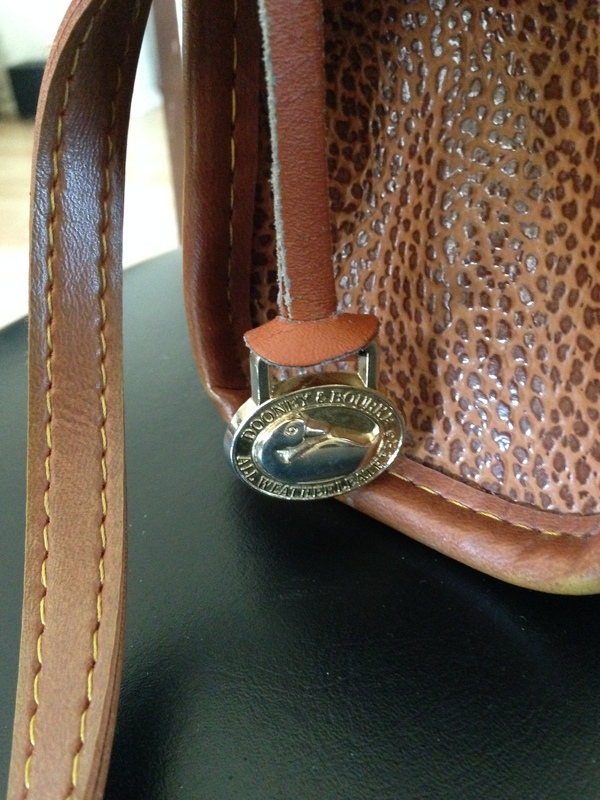 The purse charm looks brass, and it is attached with a leather strap. I have pictures of all angles. Thanks for your help. This is a fake. Dooney & Bourke has never made a style like this. The fabric lining of the interior is a dead giveaway. Also the vinyl trim, the stitching, not Dooney. Have a Vintage D&B Satchel bag that I was wondering if it’s Authentic. It’s a luggage brown color all over. Top zipper says Three Star. 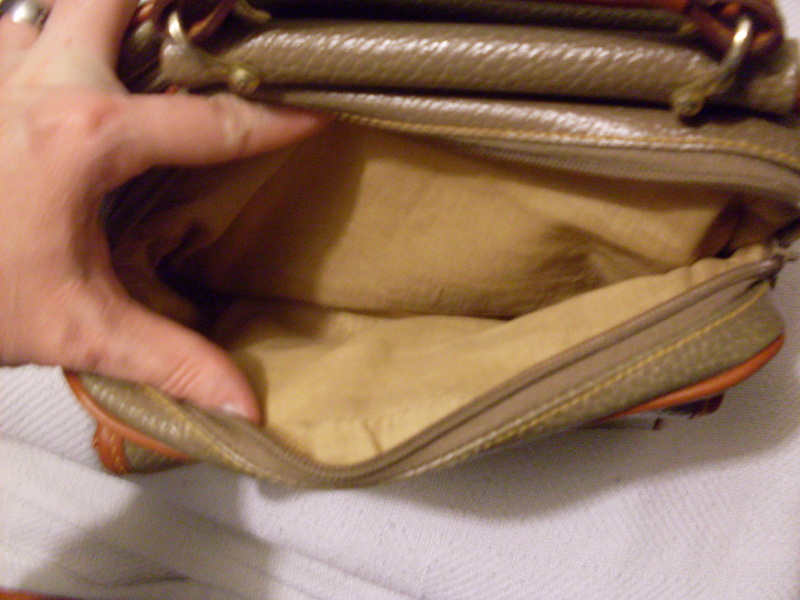 Leather inside with pockets. There is a white small tag that says “Made in Korea”. The rivets are blank. Hardware is gold with 4 hold feet on bottom. Has 2 arm handles and a long strap for shoulder wear.Thank you for your time. This is a counterfeit satchel. 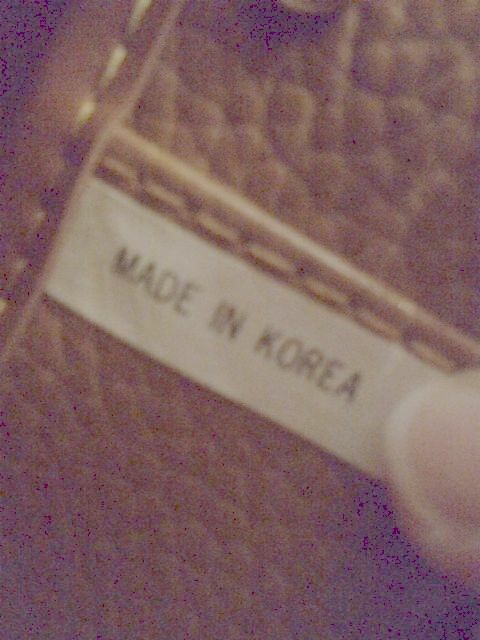 Authentic Dooney & Bourke bags have never been made in Korea. 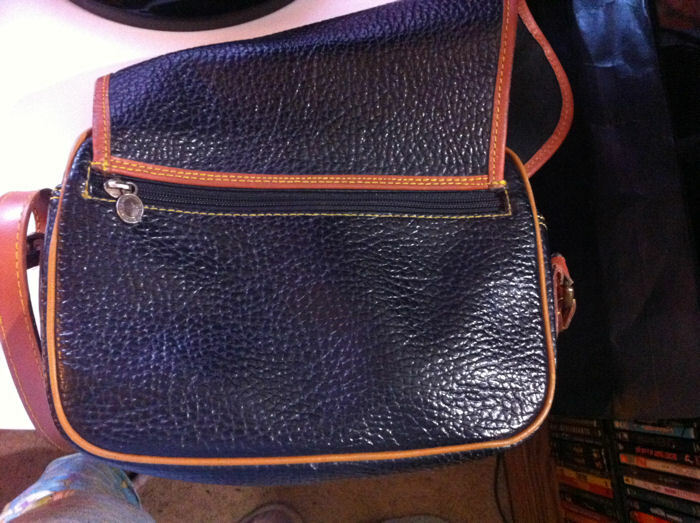 Many factors show this bag is counterfeit including: Handles permanently riveted on instead of removable. Very bad counterfeit duck seal and duck fob. Vinyl trim. Poor stitching. Here are some photos showing authentic features. 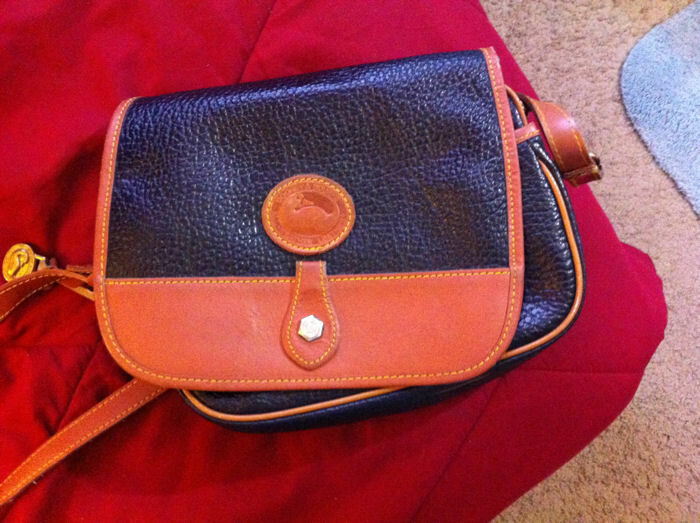 Authentic Dooney & Bourke bag showing the removable shoulder strap. Note the slits near the brass button. This site is invaluable if you are buying secondhand. Believe it or not, there are now simple little bags circulating on the Internet bearing the logo of a very good British brand, Tula, and above it and as part of the branding – the D&B duck motif. I am not kidding! I bought one and inside was a Made in Korea label. It was in a good quality, supple black pebble leather, originally known as Scotch Grain, with the cheapest possible tan coloured trim and badly sewn. I pointed out to the seller it was totally illegal. So, if you buy secondhand you have to take on board the points made in this and other excellent sites until you know every little detail of the genuine article off by heart. I have had three dud D&B bags so far – No.1 from a major charity when it first set up online, No.2 had the illegal double branding. No.3 was the most difficult – made in good materials, well sewn with the duck medallion stuck on the front. When I received it the doubts set in – no named rivets, no label or number (which the seller had pointed out), the D rings for the shoulder strap were chrome but the rest of the hardware was brass and the strap attached the wrong way – from front to back, instead of the reverse. Happily I now have the genuine article – it ticks all the boxes. I will sign off now as this bag needs a little treatment with saddle soap followed by a gentle massage with my favourite polish. 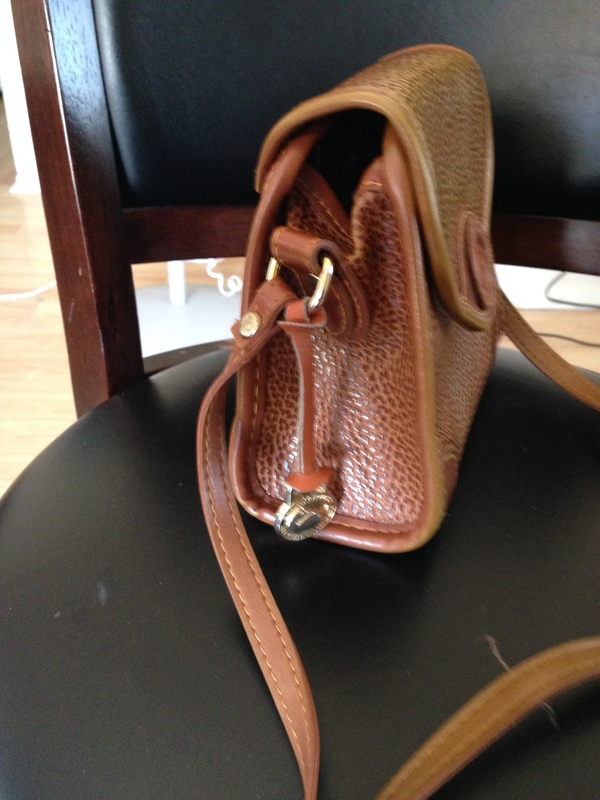 Is the number J3004894 a real Dooney and Bourke handbag? Yes, just bought a fake for 28 dollars. It’s just a small wallet but I am so mad. 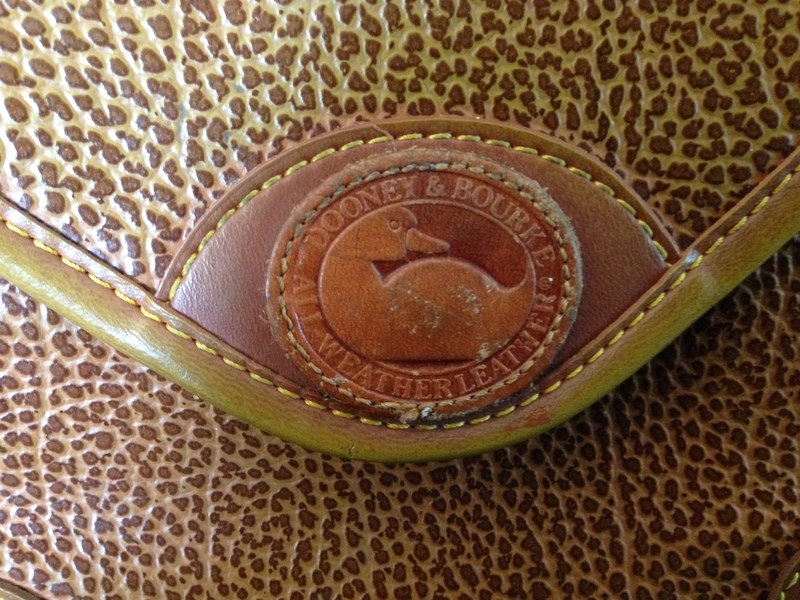 The stitching was way off and the duck doesn’t look like my other Dooney bag. Thanks for your post. I told the seller but she will only refund me my 20.00 shipping was 8 and it’s going to cost me 8 dollars to ship it back so basically I am still losing money. 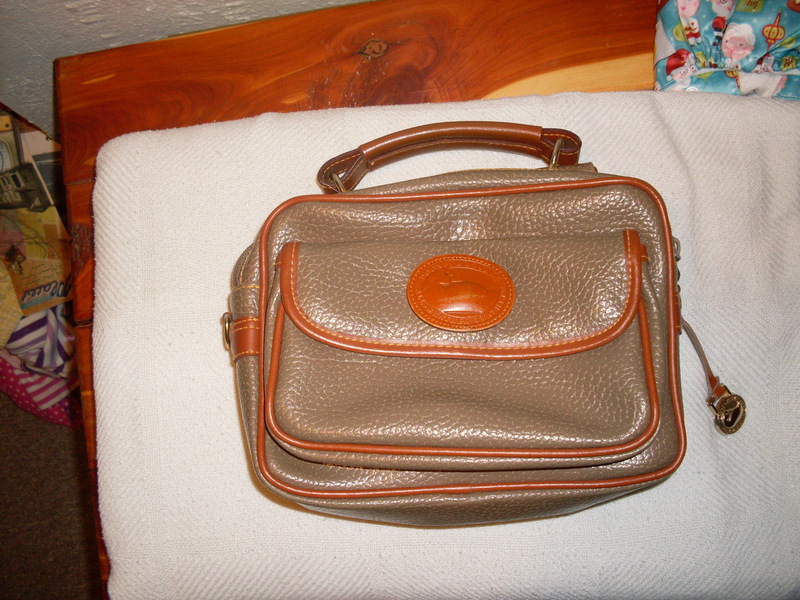 Hello, I am looking at used bag id no J1833212 can ‘t find it anywhere, it’s a florentine type bag, soft tan leather, haven’t seen it up close, worried about the reg no. can you help? 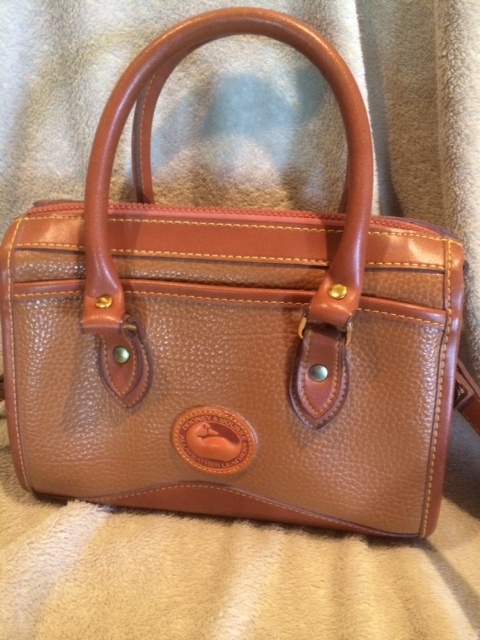 I bought a Dooney and Burke Handbag at the Goodwill today and am having a hard time seeing if it is authentic. On the back of the buckle it says Solid Brass, and inside is the tag that says Dooney & Burke (Red, white, and blue) with the serial number K6309349 on the back. Next to it is a white plastic tag that says made in China. Both are sewn inside. It is a large canvas bag with the DB logos all over, and the DB logos are present inside where the large pocket is. Can you help me see if it is authentic.? Thanks a bunch! 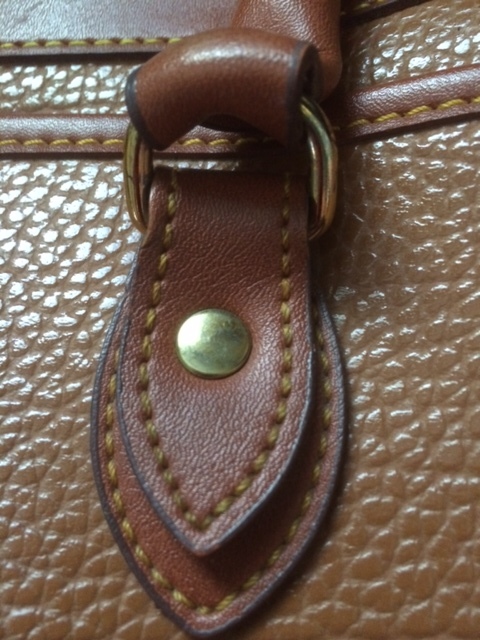 I have a question if my dooney and Bourke is authentic- could you help? 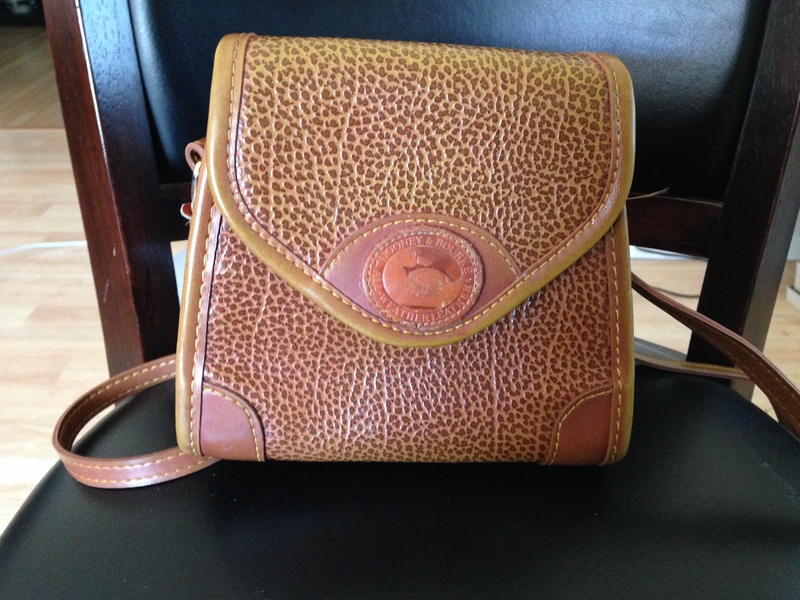 I have an older Dooney & Bourke bag with a shoulder strap that belonged to my mother. It is black and tan leather. I think I remember my brother buying this for her from Dillons. I sold it on eBay, but the lady sent it back saying it was not authentic. Could you please help me with this? 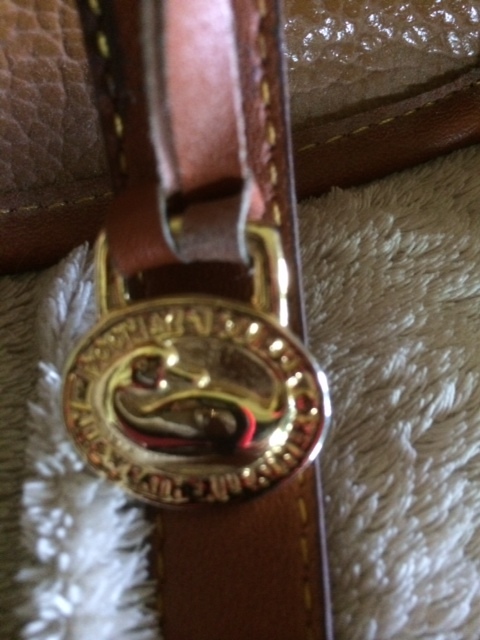 I have bought a few Dooney’s at Nordstrom in Utah so I felt I had a pretty good feel for an authentic Dooney or not but I am stumped on this one it has the serial number tag with number on back and it is a nice piece of leather. It has a buckle closure that puzzles me what should I look for it is in excellent condition. AO 578222 is the serial number. 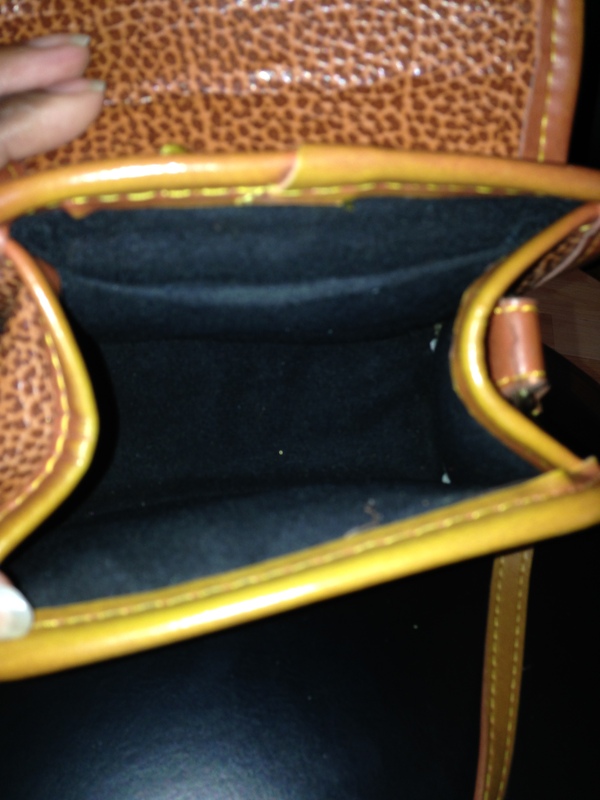 Can you authenticate my Dooney and Bourke. If so what do i need to do? I saw a DB bag on offer up. The lady gave me the serial number k 248099. 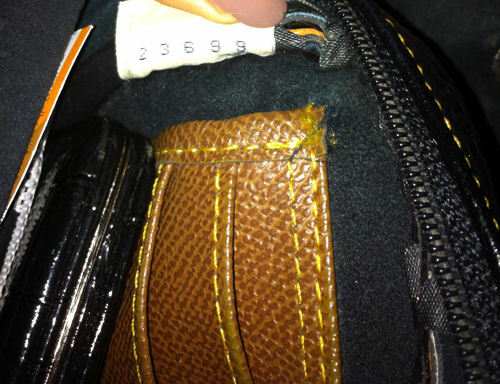 Can you tell me if this serial number is for a fake bag? What does the k stand for?